Jungceylon is the name that was used for Phuket Island over 100 years ago. The island was known for its wealth from international trade and its wealth of natural beauty. Now the name “Jungceylon” is used as the name of the largest and most modern shopping center in the southern part of Thailand, covering an area of 200,000 square meters in the center of Patong Beach with parking space for 100 coaches and 2,000 cars. 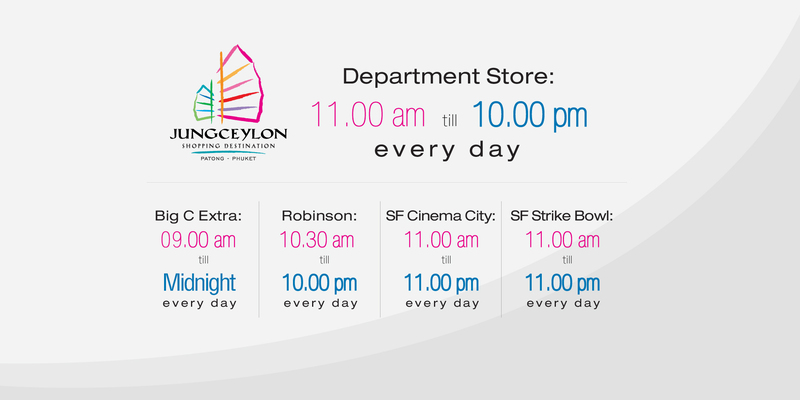 Jungceylon is ready to welcome visitors from every corner of the globe, offering a fantastic experience of unlimited fun shopping and leisure in style.